Our friends at TC Electronic have announced that RTW’s LQL (Loudness Quality Logger) is also compatible with the TC Electronic TM7 and TM9 TouchMonitors. 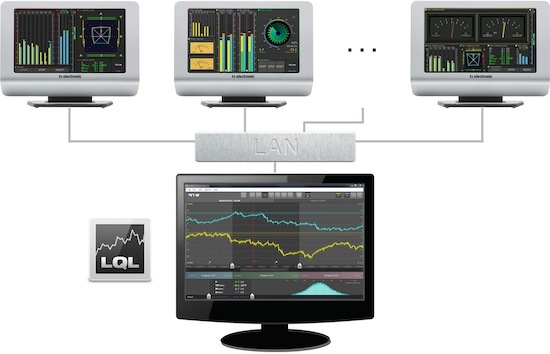 LQL is a new tool for logging, true-peak data analysis and reporting, which is a natural extension of the innovative software options available for TouchMonitor. LQL takes data via an IP-connection from a capable TouchMonitor, as well as from external storage media such as a USB stick. Also included in the software are dual limit weighting, status information, marker and various other reporting features. The new PC software is free of charge, however an LQL license is required to enable TouchMonitors to support data export and additional display functions. The TM7 and TM9 TouchMonitors feature a 7- and 9-inch touch-sensitive display, respectively, and are great for live mixing where a plug-in isn’t so helpful. Now it is possible to log the data from a live meter and have the best of both worlds. Various audio interfaces and combinations are available i.e. analog, AES3, AES3id or 3G-SDI. TC Electronic’s TouchMonitor range was created to help adhere to all major industry loudness standards, including EBU R128, ITU BS.1770-3/1771-1, ATSC A/85 and ARIB.